Late in 2017 the John Casson Foundation received a very different type of application for support from a very talented young man called Willard Carter. The foundation learnt about Willard, a 15-year-old cellist who was studying at the Purcell School and the Royal College of Music. He had grown up in a single-parent family with two other siblings, one of whom has health challenges. Willard’s mother, who is extremely dedicated to her family, has always encouraged Willard to be very focused on his talent and passion for music. 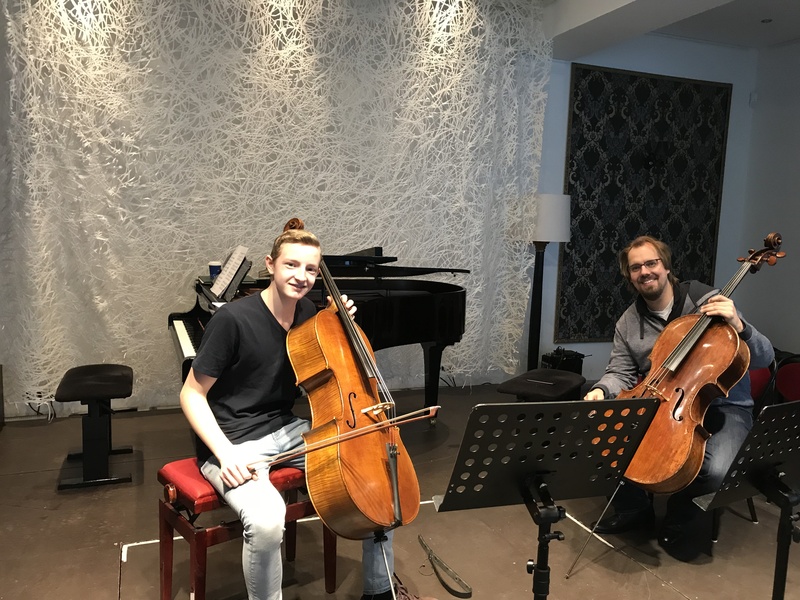 In October 2017 Willard was chosen to take part in an intensive masterclass for a week with the German cellist and teacher, Wolfgang Emanuel Schmidt. The foundation sponsored his travel to Germany. This sponsorship allowed him to attend the week’s masterclass, which was a great success. Following this, Willard asked if Mr Schmidt would consider taking him on as a pupil. He was advised that Mr Schmidt would need to evaluate him further before that could happen. 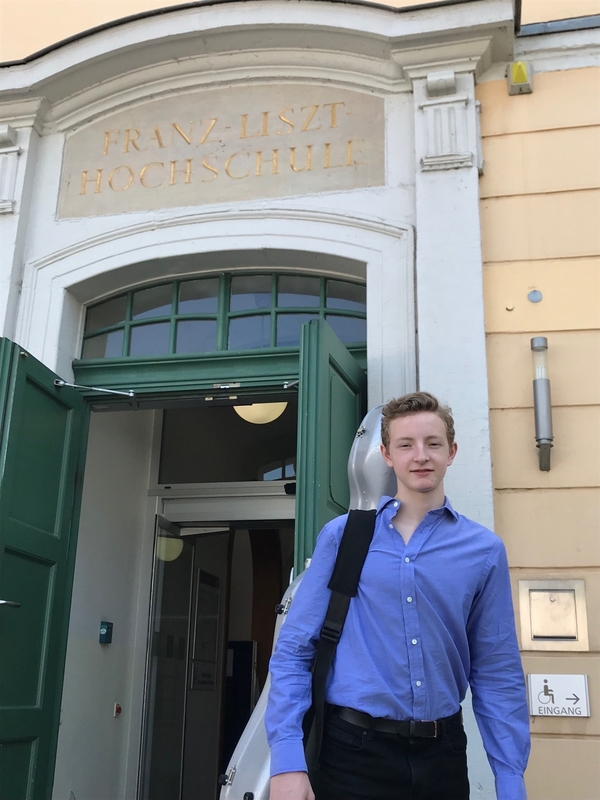 Thanks to a second successful application to the foundation, Willard returned to Germany to work with Mr Schmidt for a further six days, and following this Willard was invited to audition for a possible place to learn with Mr Schmidt at the Franz Liszt University of Music in Weimar. The only issue was that Willard had his English Literature GCSE on the day of the audition, and further exams all that week. In order to go to Germany, Willard, following a request from his mother, had to have his English paper released at 6.30 a.m. The exam invigilator then had to stay with Willard until 10 a.m., which meant accompanying him to Heathrow. Following a very long and stressful day for both Willard and his mother, Willard arrived for his audition late due to flight and transfer delays, but luckily the audition panel had stayed on waiting for him. Willard had not eaten all day and arrived to see the list of other potential students who were auditioning, who were all at degree and Master’s levels. Despite the gruelling day faced by both him and his mother, Willard still managed to impress the panel, and he was offered a conditional place based on him returning to retake his theory exam. For a single-parent family, the costs of attending the audition were huge. Extra seats had to be booked on all flights for Willard’s prized possession: his cello! Willard also has an offer to study in Madrid alongside Ivan Monighetti, so it is clear he has a wealth of musical talent as well as a very supportive and hard-working mother. Willard, who has now turned 16, has a great future ahead of him, and the foundation is thrilled to have helped him and looks forward to hearing more from him in the future. This is the first time the John Casson Foundation has offered this type of sponsorship, and the trustees are delighted with Willard’s success so far.